Yay! A wonderful Alyssa post! 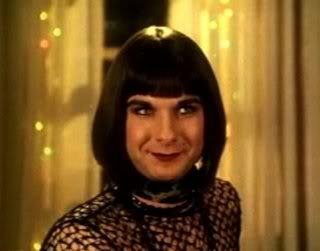 I agree about Liev's comedic roles. They're so zany, but earnest and genuine. If you like seeing him in comedies, I'm sure you've seen "Walking and Talking". It's by far my favorite comedic movie with Liev. And yes, Liev in a comedic role is wonderful to watch!! Sofia is right!!! Watch Walking and Talking!!!! It's brilliant!!! Yes, Walking and Talking is one of my favourites. I absolutely LOVE when he answers the phone to the crank caller "Hulllloo?" all tough and gravelly. SO FUNNY. I've cranked the volume a bunch of times trying to listen to the voice of the snivelly whiner crank call guy - wondering if it's Liev??? I guess I could just check the credits but Kevin and I thought it was him. That's the movie I play every time I'm folding laundry - so, I've heard/watched it A LOT. Hahaha No, I'm not kidding. Anyway, THANKS for the nice comments girls. Hahaha, I love that seen too. I especially love when they get drunk in the hammock and then go skinny dipping. Totally the most sweet and genuine relationship. You better train that bundle of joy to be an avid Liev-lover too~!